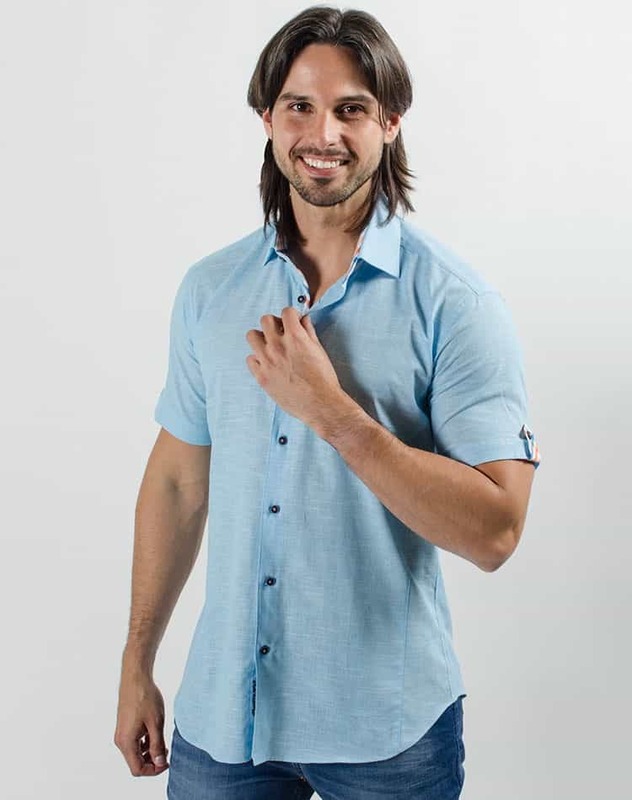 Via Uomo Conino Turquoise comes in a vibrant color scheme and a great fabric that make it perfect for summer. 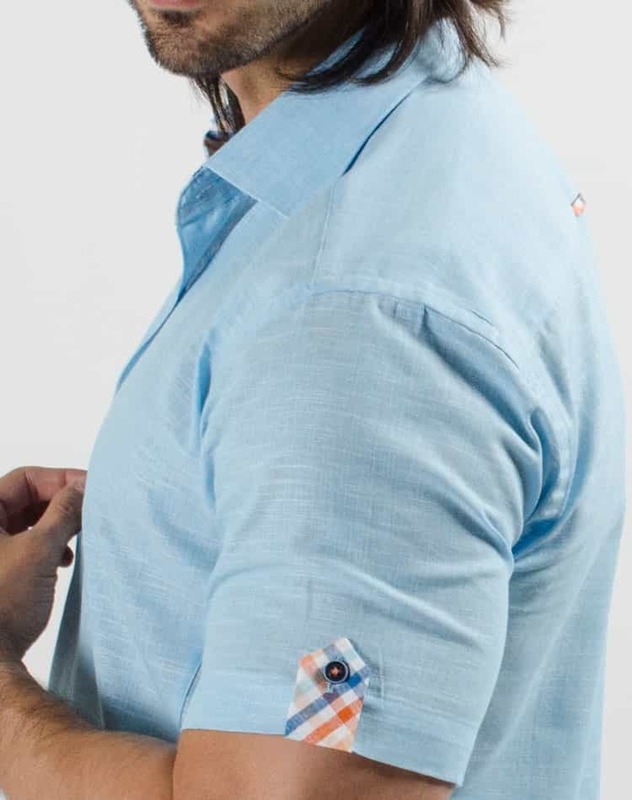 The shirt comes in turquoise and has a contrasting fabric in a plaid pattern in white, orange and blue on the interior collar, decorative stripe on the back and on the margin of the sleeves. 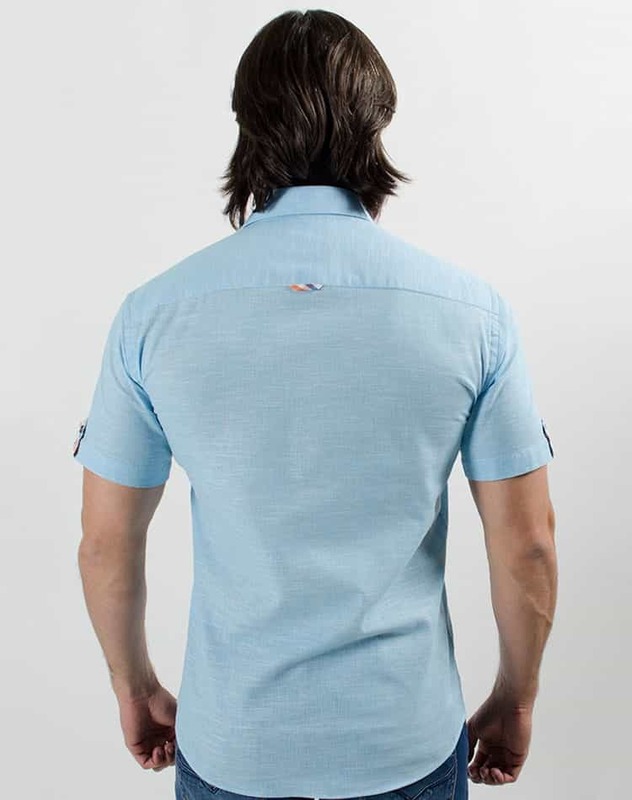 The color scheme is completed by the blue buttons with orange stitching details. 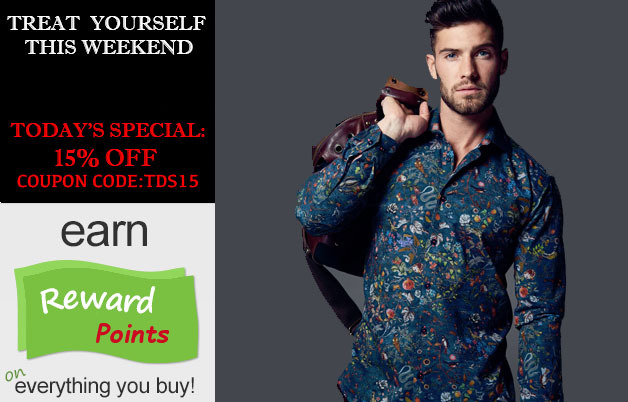 Via Uomo Conino Turquoise is 100% cotton made of the finest European fabrics available offering you the comfort that you need to wear it all day long. The shirt has a European tailoring style shirt with a slim cut and a wide size selection making it easy to find the perfect one for you. Order this shirt today and enjoy this short sleeve shirt that you can match with jeans or denim, cotton or linen shorts.